Your name doesn’t have to be Homer Simpson and you don’t need to be driving around in a police car to love donuts. Approximately 10 billion donuts are made each year by donut retailers in the United States, and the donut industry is estimated to bring in over 11 billion dollars in revenue to retailers in the country every single year. One of the dominating donut manufacturers in the US is Dunkin’ Donuts, a fast food chain that is widely known for their large selection of the round delicious snack. Like a donut into coffee, let’s dip into 10 more untold truths about Dunkin’ Donuts. In 1948, a coffee and donut shop named Open Kettle in Quincy, Massachusetts was opened by a man by the name of William Rosenberg. Rosenberg was born in Boston, Massachusetts in 1916 to Jewish immigrants from Prussia. He started working after being forced to drop out of school when he was 14 in order to help his parents financially during the Great Depression. After World War II, Rosenberg started working in the food industry when he created a food catering company. Once he realized just how many people were purchasing coffee and donuts, he decided to open Open Kettle, a restaurant dedicated to those two products. In 1950, he changed the name of his shop to Dunkin’ Donuts and the restaurant soon became a success, gaining a lot of popularity. 5 years later Rosenberg franchised his shop and by 1963 the 100th Dunkin’ Donuts shop was opened. In 1965 the establishment was globalized and its first restaurant overseas opened its doors in Japan in 1970. In 1990, the franchise was purchased by the owner of Baskin-Robbins and continued to grow. 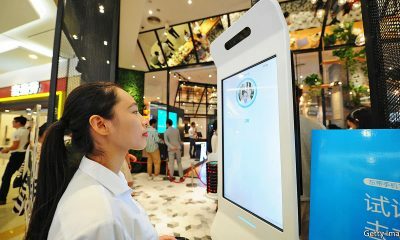 By the year 2000 there were 5000 restaurants opened worldwide and by 2011 that number had doubled. The franchise will continue to grow and expand worldwide and continue to be known as one of the best donut shops in the world. Baskin-Robbins, Dunkin’ Donuts’ sister company is famous for its 31 flavors of ice cream, but the number of Dunkin’ Donuts donut flavors more than doubles that at a whopping 70 different types of donut. However, not all of these flavours are available in a store near you as many of them are unique to certain regions. The average store carries a variation of around 20 different flavours that vary depending on which establishment you visit. Some of the classic American donut variations are glazed, double chocolate, vanilla frosted, jelly, blueberry glazed, powdered sugar, Boston kreme, and more. Consumers love these classic flavours and Dunkin’ Donuts worldwide sells around 3 billion donuts every year. What’s more interesting than the classic American flavours are the flavors of donuts sold in the Dunkin’ Donuts around the world. In China, pork and seaweed flavoured donuts are sold, along with pizza flavoured munchkins, making for a more savoury snack than sweet. If you’re a cheese lover, head to a location in Indonesia where they sell chocolate frosted donuts covered with Parmesan cheese. If you’re craving something sweeter, try the Fruity Paradise donut sold in Thailand, which is a classic glazed donut covered in a variety of fresh fruits. Some more international variations include the mango chocolate donut from Lebanon, the Kit Kat donut from Spain, and the kimchi donut from South Korea. When a franchise is as big as Dunkin’ Donuts it’s hard to get by without any controversy. 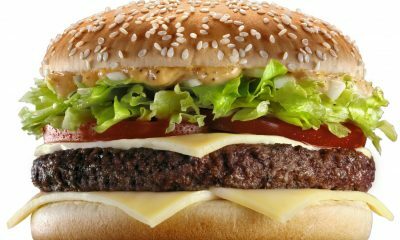 Fast food restaurants are often looked down upon for the poor quality of their food and the beloved donut franchise is no exception here. Dunkin’ Donuts serves a wide variety of food and drink items like coffee, donuts and sandwiches, and they use a large amount of ingredients, some of which caused controversy. 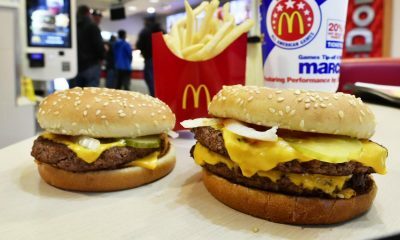 There have been multiple lawsuits filed towards the company arguing about details in their menu and the quality of the ingredients being used. In 2017, a class-action lawsuit was filed by a customer in Chicago because the Blueberry Crumb Cake donut did not contain any real blueberries, only imitation ones. 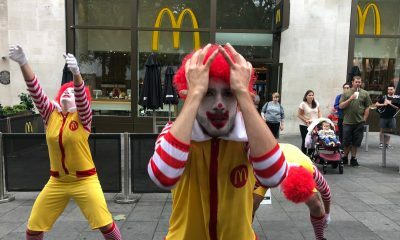 The lawsuit stated that this induces, “unsuspecting consumers into believing that the products contain actual blueberries.” The customer demanded 5 million dollars from the franchise because of this misleading information. 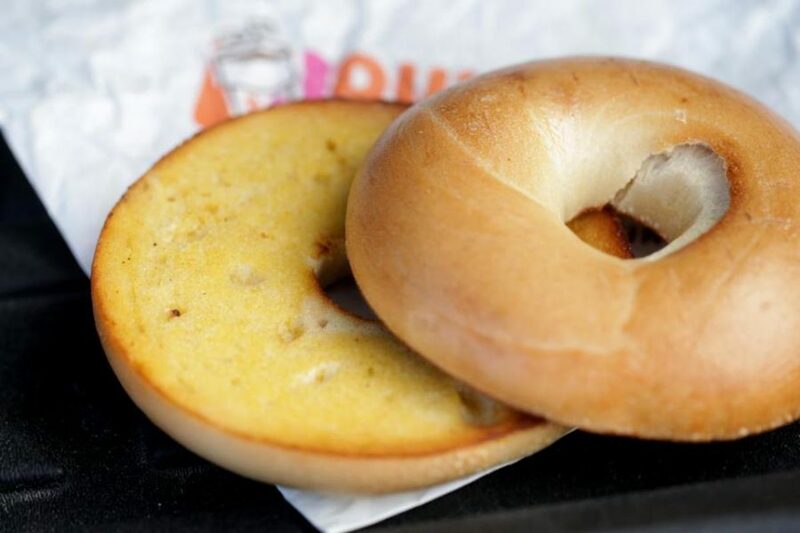 Another lawsuit happened in 2012 when a man from Worcester, Massachusetts accused Dunkin’ Donuts of putting margarine on his bagel when he wanted real butter. An undisclosed settlement was reached between the donut franchise and the man, and Dunkin’ Donuts stores now carry butter packets to give to customers who demand the real thing. If you grew up in the 80s or 90s, chances are you remember these classic Dunkin’ Donuts commercials. 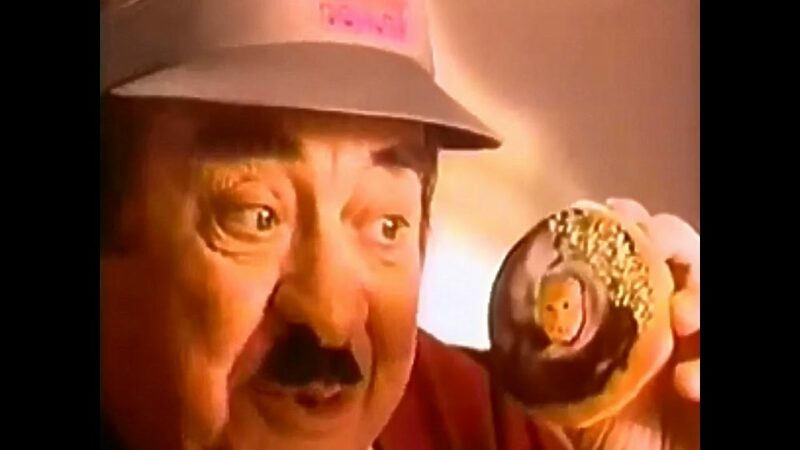 From 1982 until 1997, the franchise ran a series of commercials featuring a character named Fred the Baker whose catchphrase was, “TIme to make the donuts!”. 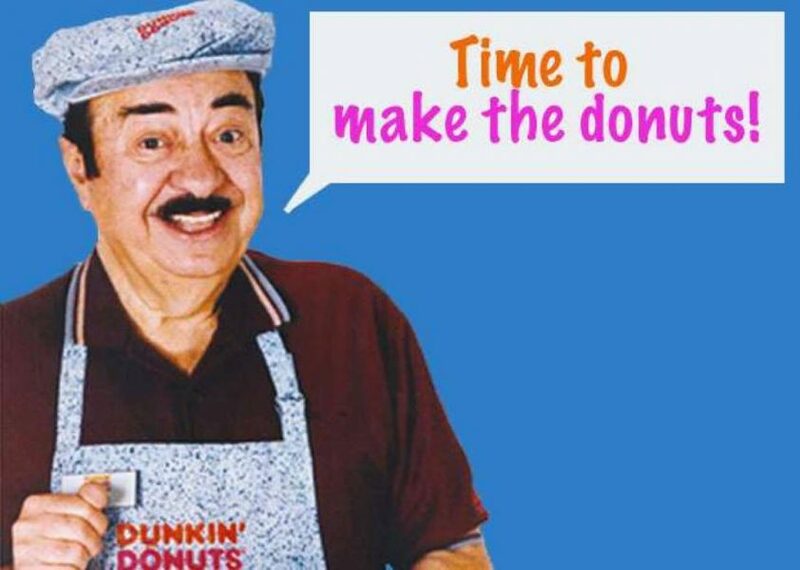 Many of the commercials featured Fred the Baker waking up early and telling himself that it’s, “Time to make the donuts” before heading off to work at Dunkin’ Donuts. He was featured in commercials for all sorts of products from muffins, to coffee, to cereal. Fred was always cheerful about going to work and eager to happily serve customers at the restaurant. Fred the Baker became such a popular figure that people were disappointed when the company decided to retire him in 1997. Because people were so devastated, Dunkin’ Donuts decided to honour Fred the Baker by treating him as if he was a real life honoured friend and employee and hold a full retirement party for him. On September 22 1997, Dunkin’ Donuts had a free donut day, in which 6 million customers were served free of charge, and Fred the Baker was honoured with a full parade in Boston, Massachusetts. So now you may be wondering, what exactly happened to the “Time to make the donuts!” guy? Who was he? Fred the Baker was portrayed by a classically trained actor named Michael Vale, a man from New York who was struggling to be recognized in the acting world. Michael Vale was in a few movies and shows though, such as Marathon Man (1976) and A Hatful of Rain (1957), along with some Broadway shows. Before starring in Dunkin’ Donuts’ commercials, Vale was featured in a series of commercials for cottage cheese for a company named Breakstone. Michael Vale landed his big role in 1981 when he got the job as Fred the Baker in a Dunkin’ Donuts commercial. However, he wasn’t the first choice for the role. In fact, when Vale went into his audition, he was told that the role of the chef was already taken, but after seeing his performance, the casting crew gave it to Vale instead. He stayed with the company for 15 years and made over 100 commercials for Dunkin’ Donuts, making him an iconic and beloved part of the franchise. Tragically, in 2005, Michael Vale passed away at age 83, but his legacy will never be forgotten. 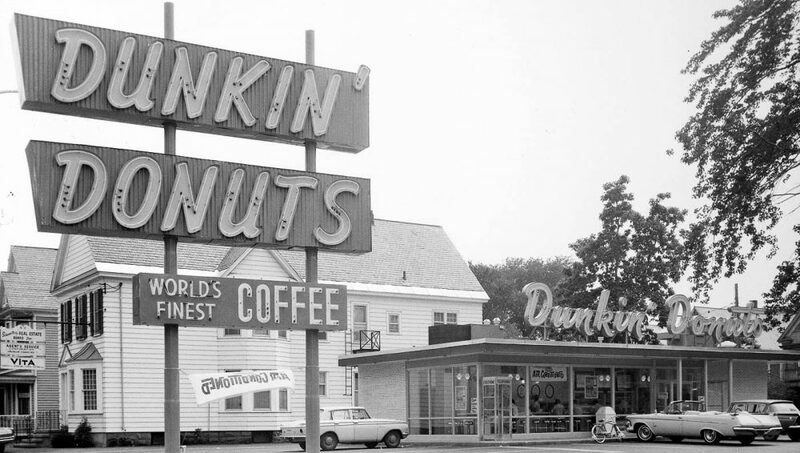 Coffee has always been a part of the Dunkin’ Donuts brand, as it was an original menu item when the store first opened in 1948. For many years the focus was on donuts however, so there wasn’t a large selection of coffees to choose from. In fact, Dunkin’ Donuts only introduced their first companion flavours to the Original Blend in 1995. That’s almost 50 years of only one coffee option! But it was in 2003 that the franchise really stepped up their coffee game by adding espresso, lattes, and cappuccinos to their menu to gain a larger audience of coffee drinkers. This allowed Dunkin’ Donuts to expand their brand and prove that they can do much more than just donuts. In 2006, Dunkin’ Donuts coffee became the official coffee provider of JetBlue flights, which get serves 35,000 feet up in the air around America. 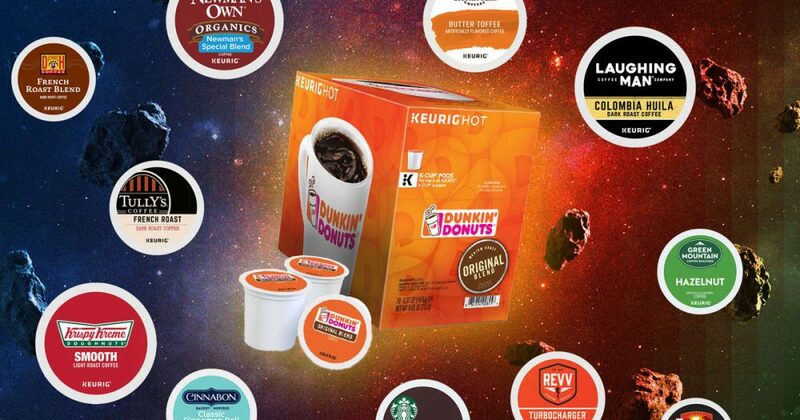 In 2015, coffee from Dunkin’ Donuts became available to take home in the form of K-cup pods, to be used in Keurig coffee brewers. The coffee empire of Dunkin Donuts continued to expand and today there are dozens of coffee based drink options. These include the famous original blend, Americano, latte, macchiato, espresso, cappuccino, a range of iced coffees, and more. 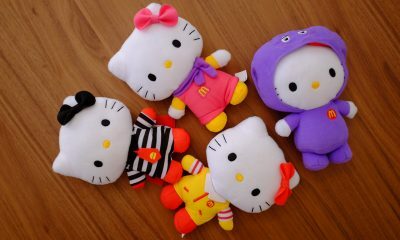 There are so many options that it’s easy for everyone to find something that they like. Throughout the years, Dunkin’ Donuts has experimented with different flavors, products, and promotions. One interesting new product released in summer of 2018 was the company’s first ever gluten free product, the fudge brownie, which was a hit amongst consumers. This product was a part of an addition to the menu called “The Dunkin’ Run”, a collection of snacks that also included ham and cheese rollups, pretzel bites and mustard, waffle breaded chicken tenders, and probably the most delicious of them all, donut fries. These fries are five pieces of donut dough covered in cinnamon sugar and they look and taste amazing. One of Dunkin’ Donuts’ stranger promotions is the six pack of beer it launched in 2018. 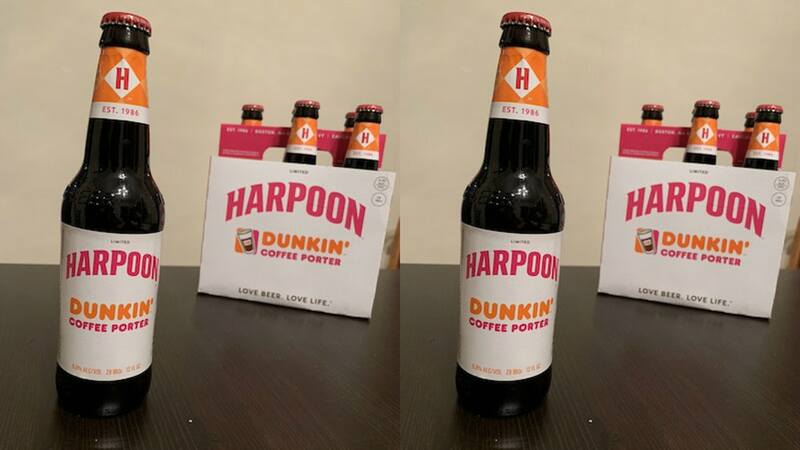 The drink was a collaboration with the beer company, Harpoon Brewery, and it’s a fusion of both beer and Dunkin’ Donuts espresso. The beer is 6 percent alcohol and tastes of malt, coffee, and dark chocolate. This wasn’t the first time the chain launched a beer though, its first beer release was actually in 2017. Dunkin’ Donuts partnered up with Catawba Brewing to create a pumpkin spice flavor beer, but sadly it was an extremely limited edition and not sold in the restaurants. Dunkin’ Donuts is no stranger to venturing outside of their coffee and donuts box and collaborating with other companies to make a new product. Like the beer mentioned earlier, Dunkin’ Donuts has had some interesting collaboration over the years. In 2018, the franchise collaborated with the athletic footwear brand, Saucony, to put out a pair of sneakers branded with the Dunkin’ Donuts logo. The shoes were created for the 2018 annual Boston Marathon and sold for $110. On the heel of the shoes reads the words, “America runs on Dunkin’”, which makes the classic slogan turn quite literal. 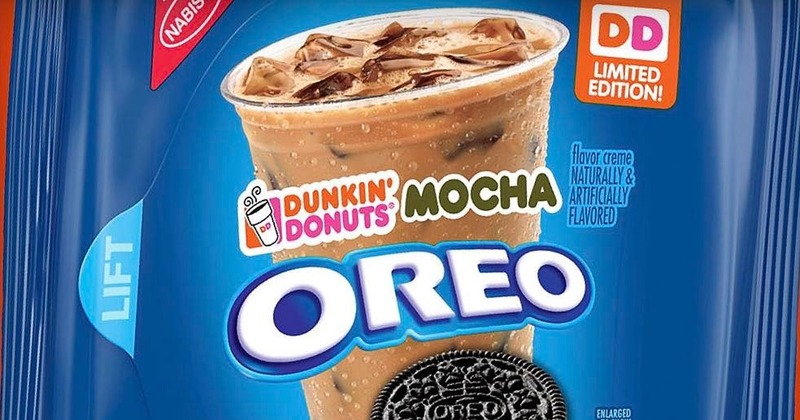 In 2017, another interesting collaboration happened when the franchise teamed up with the cookie company Oreo to create a Dunkin’ Donuts mocha flavored Oreos as a limited edition product. The cookies are supposed to taste exactly like an iced mocha from the franchise, but according to reviews they’re a bit more chocolate-y than coffee-y which isn’t that bad of a mistake to make though. Perhaps the strangest Dunkin’ collaboration though, is the collab it did with the soap brand Dove in 2018. The two brands opened up a pop up store selling their products together and for some reason it actually worked. No matter how strange the collab, Dunk in’ still manages to be successful at selling it. Being nearly 70 years old, Dunkin’ Donuts has understandably gone through a few logo changes. 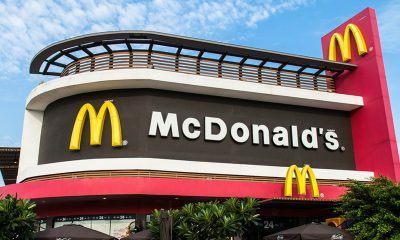 When the restaurant first opened in 1950, the logo was the name of the establishment cursive script in a dark red colour. This changed in 1956, when the logo was switched to a cartoon image of a human figure made of a donut and a coffee cup holding up a platter of donuts. In 1960, the brand started to use the hot pink colour that we associate with Dunkin’ Donuts today, showing the name of the brand in the spiral shape of a donut. From 1970 until 1979, the logo was switched to a black coloured font, but in 1980, the brand went back to the iconic hot pink and added orange as well, creating the recognizable logo that’s still used today. In September of 2018, Dunkin’ Donuts announced that they would be taking the Donuts out of their name and be referred to as just “Dunkin’” starting in January 2019. Some people were annoyed by the change while others didn’t mind at all. After all, the franchise’s slogan is “America runs on Dunkin’”, which doesn’t include the second half of the original brand name. The company’s CEO, David Hoffmann stated that the reason for the name change is to focus “on evolving Dunkin’ into the premier, beverage-led, on-the go-brand.” Like we mentioned before, Dunkin’s has really stepped up its beverage game by adding dozens of new drinks to its menu, and it’s understandable that the growing franchise want to be recognized for more than just its donuts in the future. Dunkin’ Donuts is the 8th largest fast food chain in the world, with nearly 11,000 restaurants opened worldwide. 7,677 of these are located in the United States, but the other 3181 are located internationally. Dunkin’ Donuts opened its first international restaurant in 1970, in Japan, and since then its popularity worldwide has continued to grow. 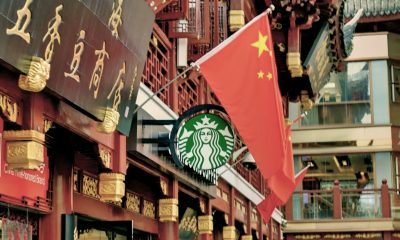 These stores are located in 30 countries including Chile, Kuwait, China, Spain, Thailand, Columbia, and more. Currently, the brand is focused on European expansion and in 2016 it opened 55 new locations in the continent. 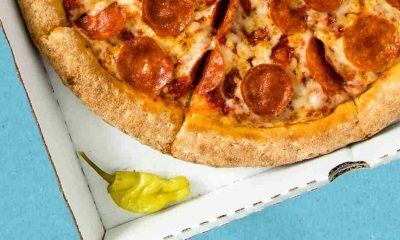 There are now over 220 restaurants located through Bulgaria, Denmark, Austria, Georgia, Germany, Iceland, Spain, Sweden, Russia, the United Kingdom,and Luxembourg. Dunkin’ Donuts most successful international locations is South Korea, with over 900 restaurants around the country. Dunkin’ Donuts in Korea are a bit more formal, and the franchise is treated more as restaurant than a fast food joint. Some locations offer valet parking, and buildings can be up to 4 stories high. There are no drive throughs and many people go to Dunkin’ Donuts to relax and sit and hang out with their friends or study for school. The atmosphere is less rushed than American locations, and the vibe is more relaxing. 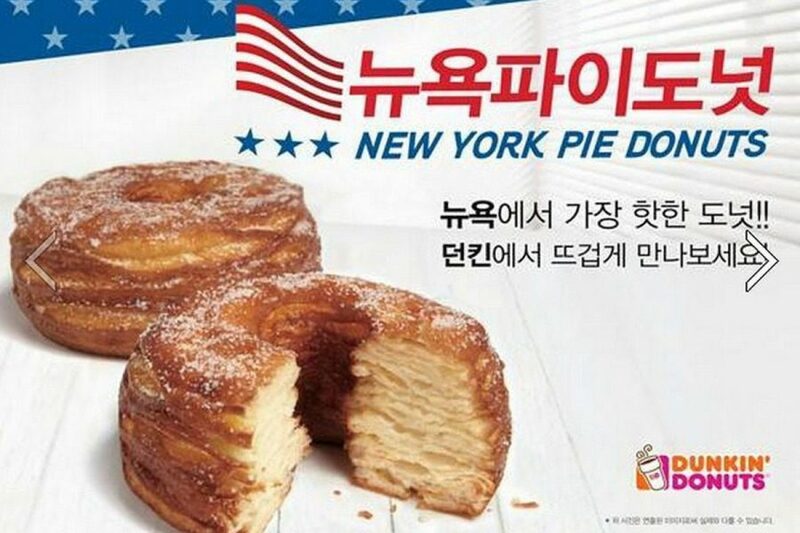 The Korean menu is also unique from the American one, as it contains items like rice donuts, sweet potato donuts, jalapeno donuts, and more.